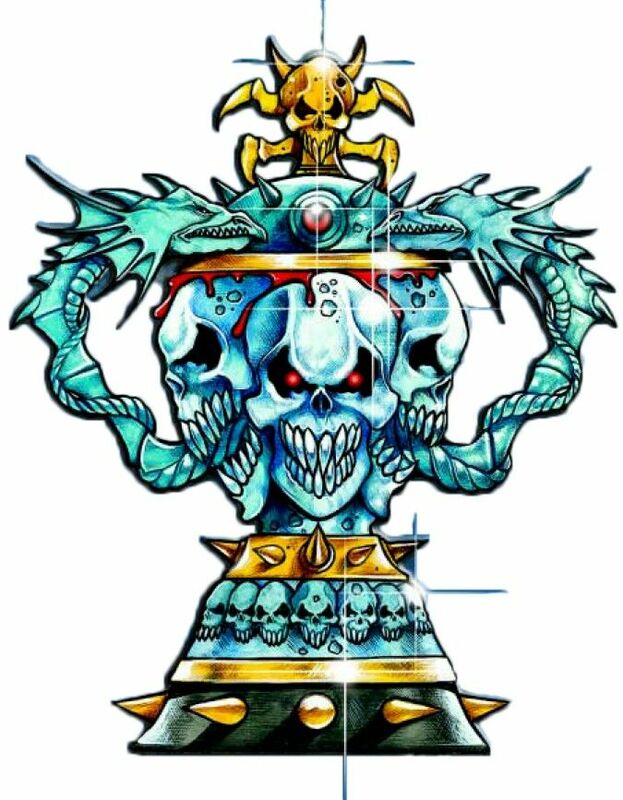 The Chaos Cup (originally known as the Whiteskull Challenge Cup until 2439) is the longest reigning and surviving tournament from the collapsed old NAF and the status it carries, however, is second only to the Blood Bowl. The location of the Play-Offs changes from place to place, and it is rare for anyone to know where it will be held until a day or two before the game starts! Teams dont have the time for some extra training during the Play-Off - no free cards are drawn in the Draw Special Play Cards phase during the play-off games. can only be chosen once per match, in each game until the end of the next season. 2 = Pick a random player on the same team, (excluding players not on the pitch and players whom a roll on this table has previously been made) and roll on this table again. 3 = Big Hand and Very Long Legs. 4 = Tentacles and Prehensile Tail. 5 = Disturbing Presence and Foul Appearance. 6 = Extra Arms and Two Heads. 7 = Claws and Horns. 8 = Pick one of the above results. When the drive ends, the trophy "goes up in smoke" and it has no further effect on the game.